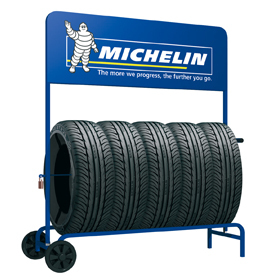 Tyre Trolley (full for Michelin). 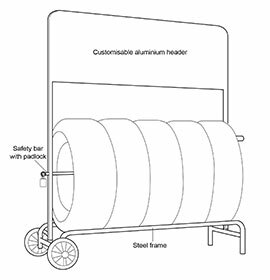 Description All your Tyre Trolley Display will be sent as individual units by parcel delivery. 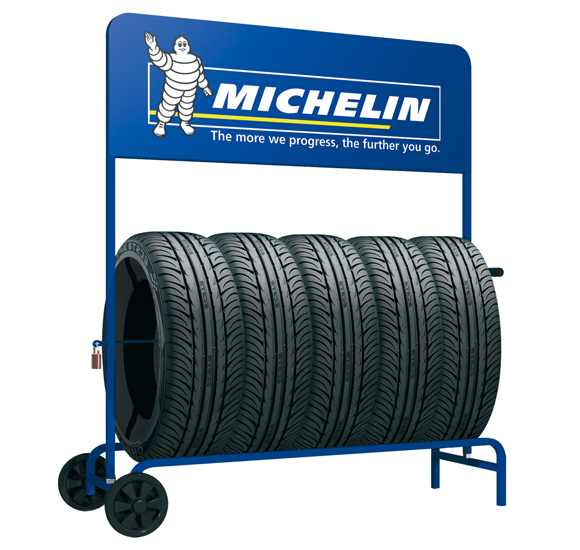 Your Tyre Trolley Display will be sent in two separate deliveries – one by pallet, one by parcel. 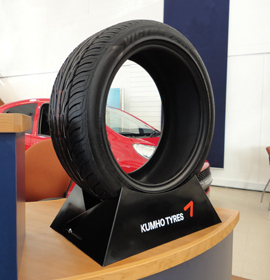 Successful industry ‘generic’ display for many years. 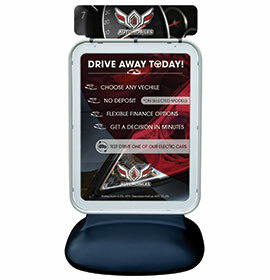 A perfect combination of effective product promotion and functional purpose. 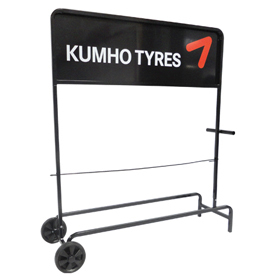 Powder coated steel frame folds/flat packs for ease of distribution. 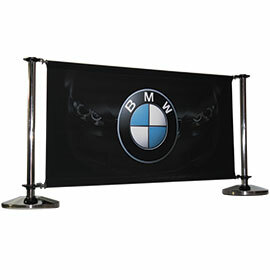 Aluminium header with double sided direct to surface print. 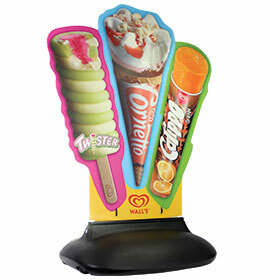 Central slide-in anti-theft security bar and padlock included.